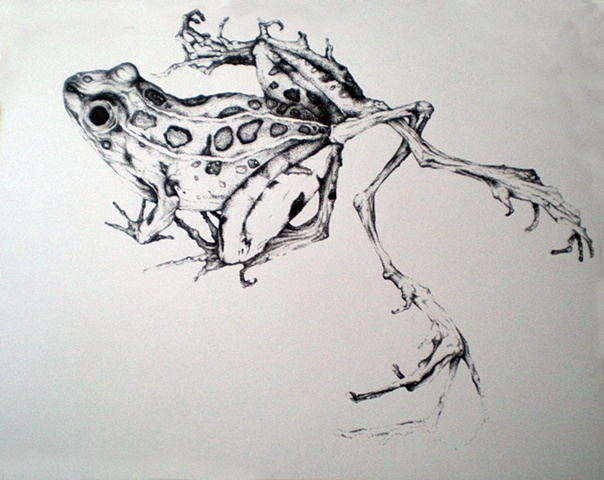 Drawing done from collected images of deformed frogs found around the world. This one is a Lepord Frog found in the midwest. Named "Amore" because of the sweetness of the frogs face and the fight it takes to survive with that many extra legs that actually get in their way and make them more vulnerable to becoming prey. Also this is the most recent drawing and finally the size I want them to be.